Brides need to LOVE their bouquet. It is an extension of their personality and style. There are different types of bouquets, from the tight, rounded shapes to the loose, cascading styles. There are also bouquets that are done in a holder, or hand held or the style of laying in the arm. There are a few things to consider when choosing a centerpiece.. Keep in mind that when your guests are sitting at the table they want to be able to communicate with the person sitting across the table.. There are arrangements that sit low on the table, use glassware to see through if at eye level or tall arrangements that provide color above the table while guests socialize. Some other places to consider flowers might be: the book table, picture table, buffet table or desert table. Flowers add a nice touch of color to the cake too. 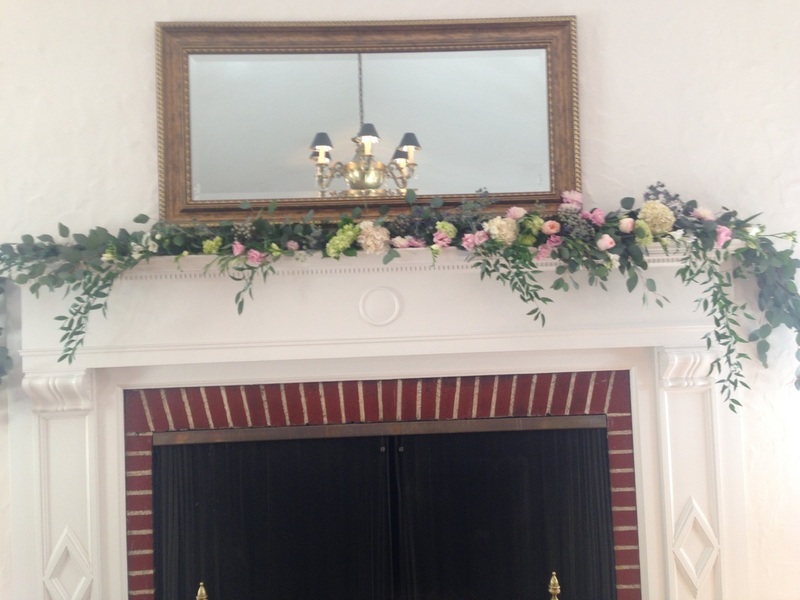 Mantles, door wreaths, chandeliers, and pieces next to the bride and groom are some other common places for flowers.